2010 December «Suad Bejtovic Photography etc. Suad Bejtovic Photography etc. I mentioned in one of my earlier posts that I had to start rebuilding my Canon gear from scratch. After I decided to purchase the EF 85mm f/1.8 USM lens, my needs dictated to get a “walkaround” lens, something that I can keep on my camera about 80% of the time. 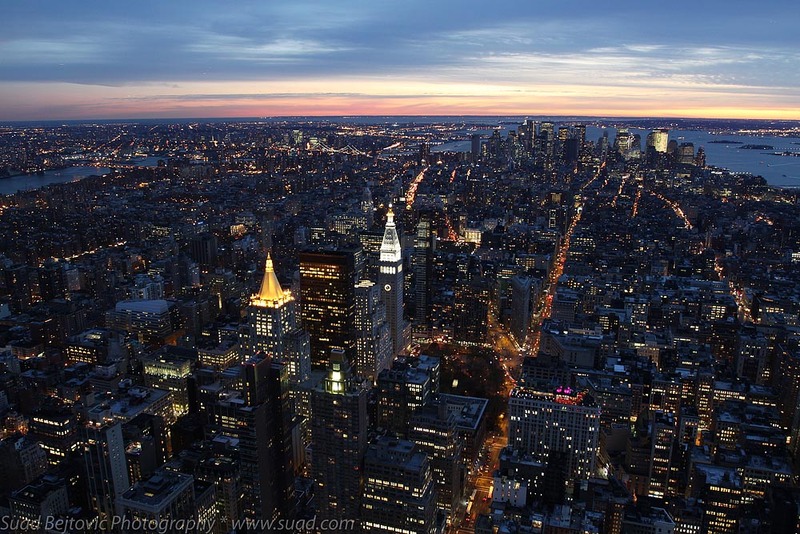 That ended up being the EF 17-40mm f/4L USM lens, which is truly spectacular, and served me well in many occasions. And yet, with two Canon cameras (one digital and one film), I was not done collecting gear. My friend Scott was selling his EF 50mm f/1.8 II, otherwise known as “the nifty fifty”, so I was happy to take it off his hands. The Fifty proved to be a wonderful addition to my arsenal almost immediately, as I made some really nice portraits with it, although it was also occasionally useful for landscapes. It’s very light, and I once mistakenly took it off the camera thinking I’m only twisting off the lens cap. Lenses of that focal length aren’t difficult to manufacture, so they are of very simple design and very good optically. Its large maximum aperture opened up a lot of possibilities for photos with narrow depth of field. 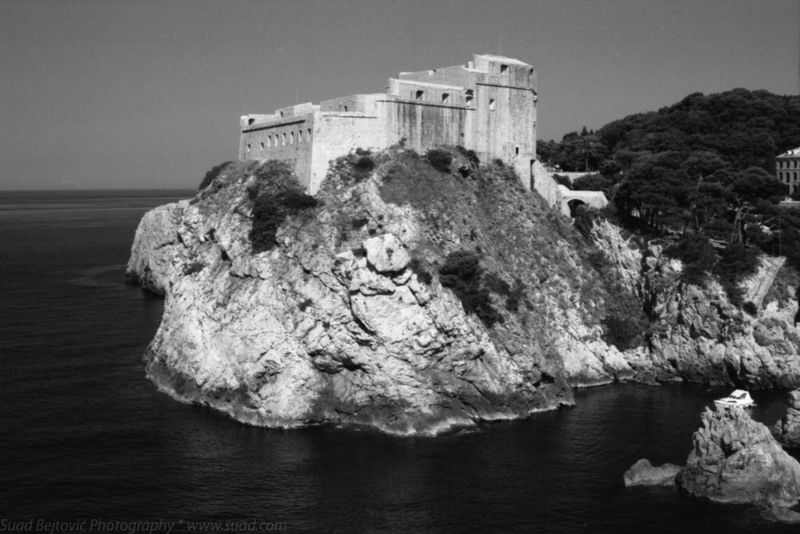 I was able to use it in a wide variety of ways, and the image of the Lovrijenac Fortress pictured above is one of my favorite photos, a print of which is awaiting matting and framing. I loved using it on my film camera (Canon Elan 7), because there was something basic about the combination. Alas, in the last year or so, it had it rough. The Fifty had to share the backpack with several other pieces of kit, many of which were more sturdily built. At some point, it lost the battle against the Mamiya 645 1000S, and its autofocus function was no longer available. The innards were spilling out, and at one point along the Mist Trail in Yosemite National Park, I even dropped it and barely saved it from a fall of many hundreds of feet. The Indestructible Fifty kept on clicking, but it clearly needed to be replaced. This past Thanksgiving Week, I spent a few days in New York City, and on my list of places to visit was the B&H Photo Video store, the largest camera store in the world. They are the best in the business, and I’ve purchased items from their website many times before, anything from a roll of film to my Canon 7D. The store is insanely efficient, which it has to be, because the amount of shoppers rivals any department store I’ve ever been to. The staff was extremely knowledgeable, and through an amazing system of belts and elevators, they provided me with a brand new copy of the nifty fifty. 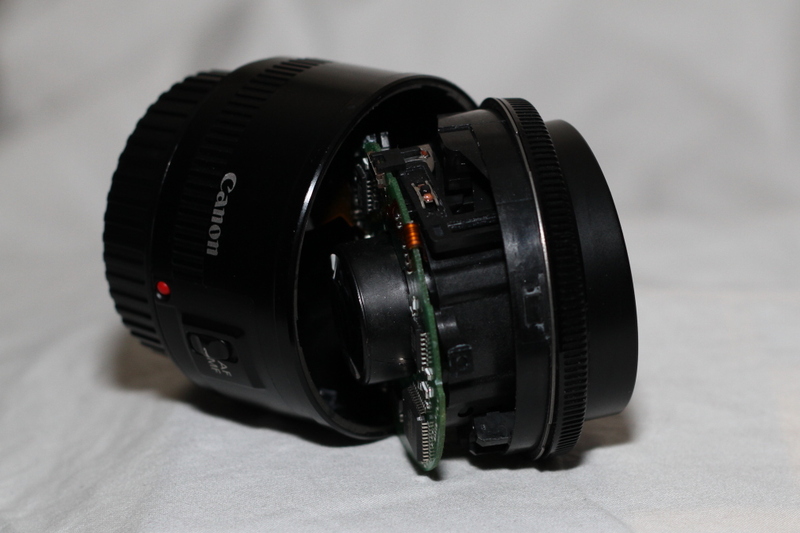 I used it to snap the picture of the old lens falling apart, but I hope to find many happier subjects for it in the future.